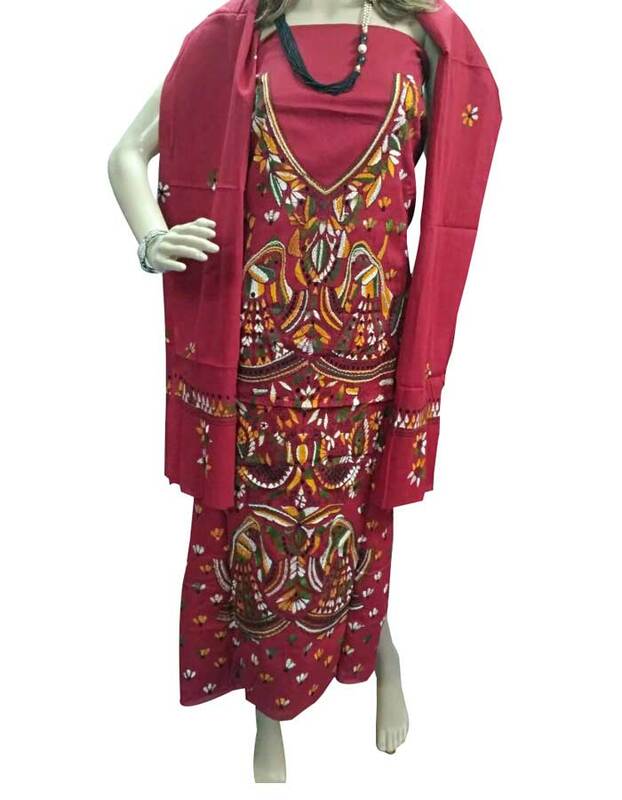 This beautiful unstitched Maroon colored Cotton Dress material brings out your elegant best. Cotton salwar does feel good cross the skin. 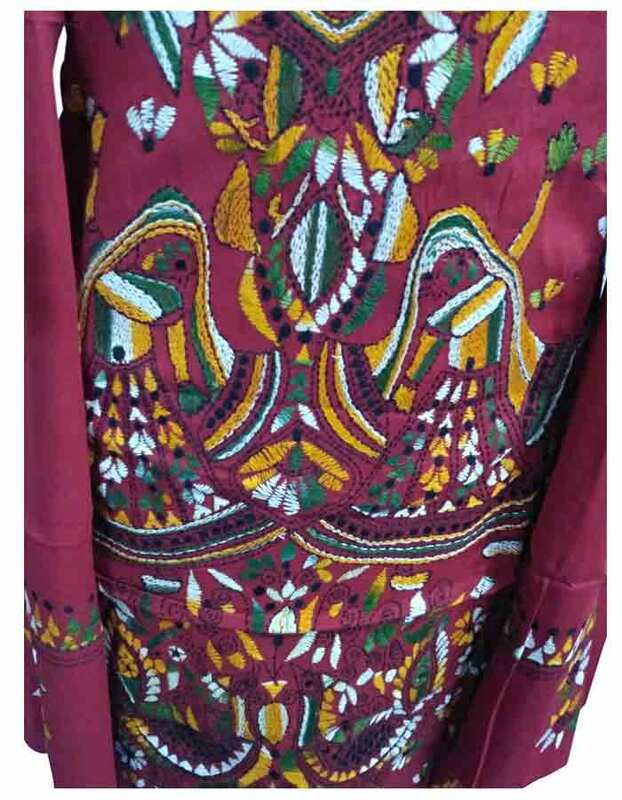 Full Hand Embroidered on this dress material will add an extra charm to you. This dress materials comes along with Maroon Bottom and Duppatta. Accessorize this Dress Material with jewellery of your choice to look your stylish best.